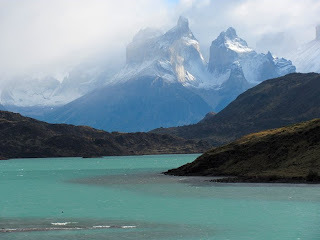 A view of the Cuernos del Paine from atop the new Puente Weber that crosses the Rio Paine. I remember the old wooden bridge when I was first in Torres del Paine in 1992. 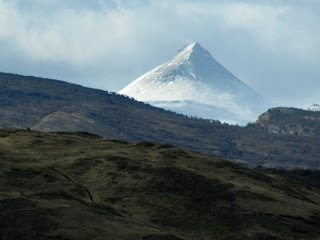 The peak called Tenerife with a dusting of new snow. It's named after the peak in the Canary Islands, but this Tenerife is not a volcano. 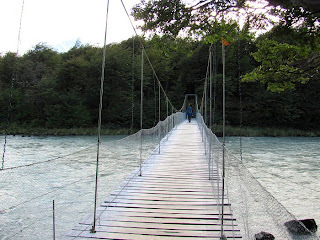 Suspension bridge across the Rio Pingo which gives access to the sandspit at the foot of Lago Grey. 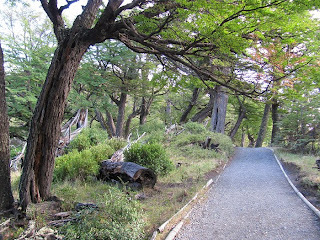 Well-groomed trail through a lenga forest on the way to Lago Grey. The sand and gravel spit (tombolo) at the south end of Lago Grey. 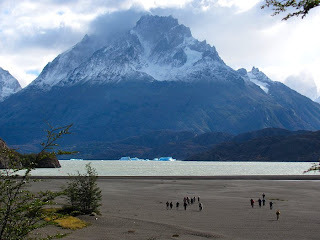 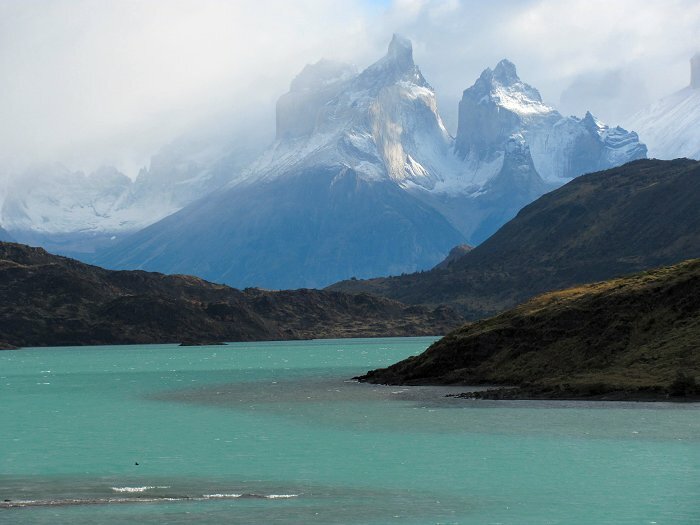 The majestic bulk of Paine Grande rises in the background. See the icebergs (tempanos)? 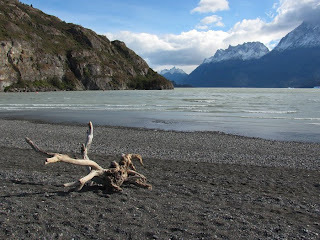 Driftwood on the beach at Lago Grey. The wind is ferocious today! 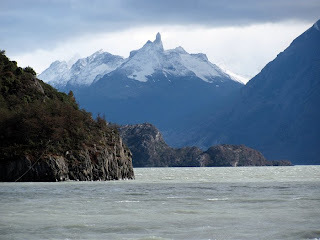 Looking up Lago Grey. The sharp peak is called El Punson ("dagger"). 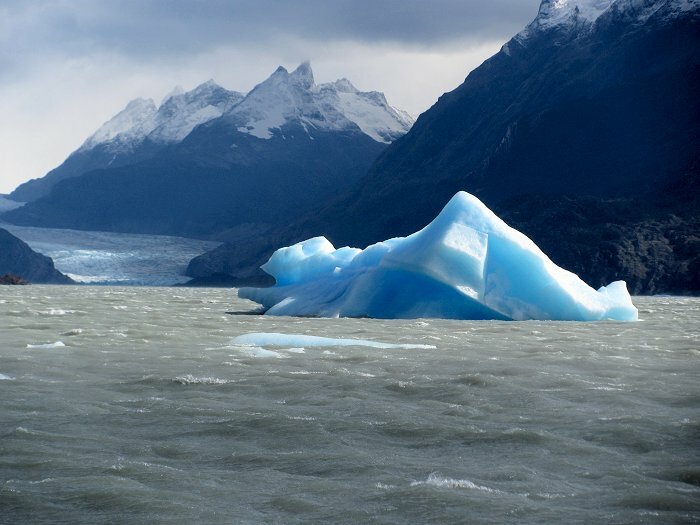 A grounded iceberg at the south end of Lago Grey. 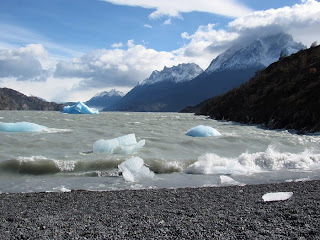 In the distance you can see the Glaciar Grey, the source of the icebergs. A small collection of beached icebergs at the south end of Lago Grey. 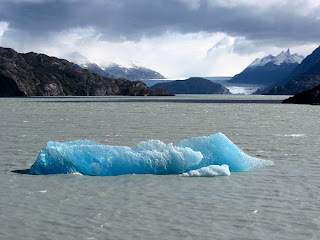 Brilliant blue iceberg on Lago Grey. In Patagonia, the skyscapes can be as impressive and memorable as the landscapes! 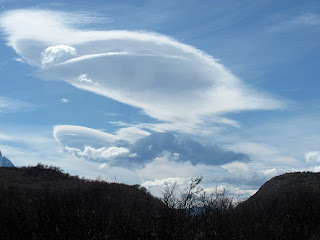 Lenticular clouds over Torres del Paine National Park.